With the rise in popularity of online shopping, many small businesses have been able to find success selling their products online. 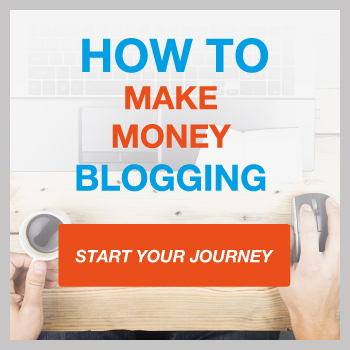 Online shopping and selling has been especially helpful for businesses selling crafts or other handmade goods, as well as allowing bloggers to make money from their own blogs. Etsy is currently the most popular site for buying and selling crafts and has helped many users increase the profits and success of their businesses. However, several alternative website platforms have become available that small businesses could benefit from. 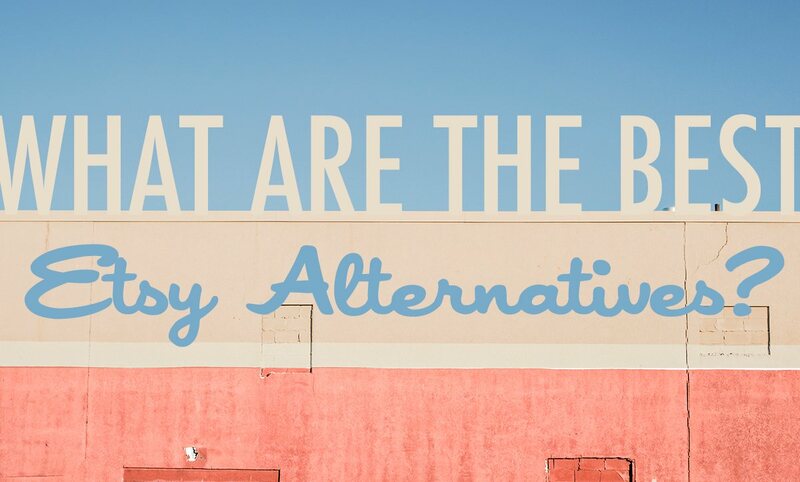 Like any large website or platform, Etsy has its pros and cons. One of the biggest benefits to selling on Etsy is simply its popularity. More shoppers looking for handmade items visit Etsy than other sites, and most potential customers check Etsy first when looking for a particular item. The site is very well-known and has a good reputation, and many small business create Etsy shops because they know the site gets plenty of traffic. People are also drawn to Etsy because it is fairly straightforward and easy to use, especially compared to creating your own website. With Etsy, you don’t need to worry about designing or creating a site and hiring someone to develop it. All you have to do is upload the photos, type a description, and choose the price and keywords. It’s easier, less stressful, and less time consuming than trying to design your own site or figure out web development. Also, because Etsy is so popular, you can find plenty of other online resources with tips and tricks on how to navigate the site and how to achieve success. You can also find advice on Etsy’s forums and from experts on their blog. Another benefit of using Etsy is that the site is international, which makes your business much more widely available. Businesses who want to expand their customer base as far as possible often use Etsy because they know plenty of people across the world will view their products. Although there are benefits to using Etsy, the site does have its cons. While Etsy’s popularity is great for increasing traffic to your shop, it also means that your business will have huge competition. There are hundreds of thousands of sellers, and even the most niche crafts will have dozens or even hundreds of sellers. It can be frustrating and, at times, impossible to compete with the massive amounts of other businesses. Even if your product is top-notch and your prices are reasonable, you will probably have to compete with someone selling at a lower price. Because of this tough competition, Etsy users typically need to spend a lot of time on marketing for their business. To help your shop increase its visibility, you may need to learn search engine optimization techniques either for Etsy’s search engine or for Google. SEO algorithms are constantly changing though, so you will always need to be up-to-date on the best strategies for allowing buyers to find your shop. For most businesses, opening an Etsy shop is cheaper than creating a website. However, Etsy still charges fees. They charge a $0.20 fee for every item listed, regardless of whether the item sells. Listings only last for four months, so if your item doesn’t sell within that time, you must pay the listing fee again. When your item does sell, they charge a transaction fee of 3.5 percent of the item’s price. While many users appreciate that creating a shop and listing items is easy, it also doesn’t allow for much customization, which is harmful for businesses trying to create or uphold a brand or image. More freedom to customize means more opportunities to create a unique and well-branded shop that customers will remember, but users on Etsy may not have the freedom to do this. Etsy’s downsides have resulted in many users either switching to other platforms entirely or expanding their business to include multiple platforms. Maintaining and promoting multiple stores takes time, energy, and effort, but it can result in much more success and popularity for your business. To determine what platforms would be best for expanding your business, you should consider what products you sell and what demographic most of your customers fall within. If possible, find out the demographics of other platforms to see which site will bring you the most potential customers. Consider how many competitors you may have on each site and whether there are too many other sellers to compete with. Also, it’s usually more beneficial to spend more time and energy on marketing for a couple platforms, rather than spreading yourself too thin over many websites and spending minimal time on each one. You can find a variety of websites similar to Etsy for selling crafts and homemade items. Four of the most popular ones are WooCommerce, Shopify, 3DCart, and Weebly. Each have their own pros and cons and appeal to different businesses based on their size and products. 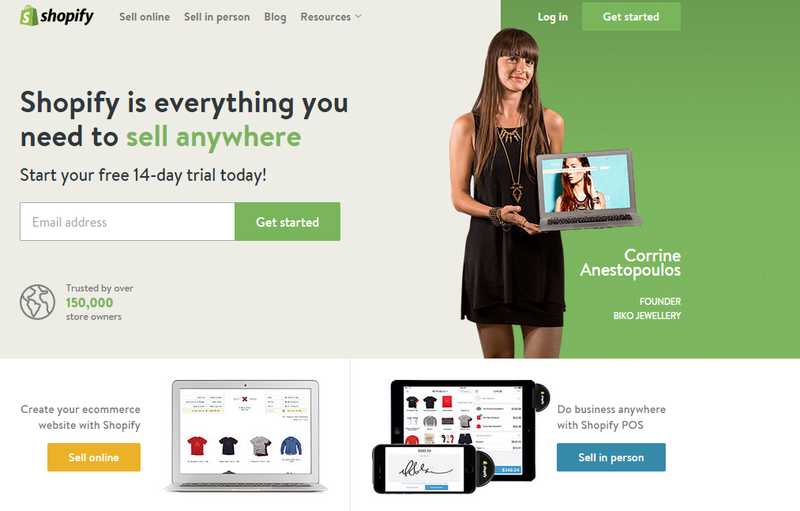 WooCommerce, one of the most popular platforms after Etsy, is a free plugin for WordPress. The platform was created by the development team WooThemes and was originally launched in 2011. By 2014, it had more than 380,000 users, which is almost 18 percent of e-commerce sellers. It has grown even more in the years since. 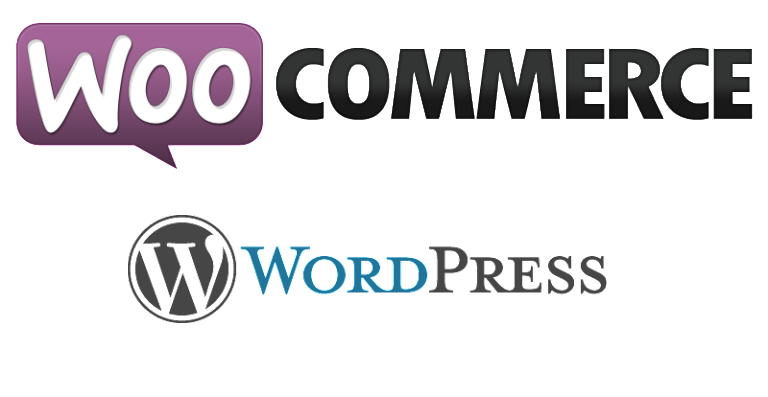 WooCommerce is a WordPress plugin, so you can download it from the WordPress website. After installing it, you’ll have the option to add products for sale on your WordPress. You can enter a picture, price, and description for your product, and then potential customers can find it. Unlike Etsy, this platform is completely free to use. You can pay for additional add-ons, but the plugin itself doesn’t cost anything. However, whichever payment method you use may charge transaction fees. You also will have to set up a WordPress site if you don’t already have one, which may take some time. Setting up a shop on Etsy usually takes less time than setting up a WooCommerce page. Many sellers prefer WooCommerce to Etsy because a WooCommerce page is much more customizable. Besides the banner image that users can upload, most Etsy shops look very similar, and it can be hard for businesses to create a unique brand. On WooCommerce, you can choose from the thousands of WordPress themes, many of which are free. You have more freedom to create an eye-catching page that reflects your business and your products, which will help you stand out to customers. WooCommerce is a great platform for sellers who already have loyal customers who will search specifically for their shop. It’s free to use and very customizable, so your site will be more unique and memorable to customers than an Etsy shop. For users who are new, don’t have many customers yet, or can’t spend much time on marketing and advertising, WooCommerce should probably be a secondary platform instead of their primary one. Read my guide on setting up a WordPress website. Shopify is a website-building tool that is popular with small businesses and people selling crafts and handmade items. The platform was launched in 2004 but grew in popularity around 2009 and 2010. The developers also created an app so owners of Shopify businesses can manage their site from their phone. As of 2014, Shopify had more than 120,000 retailers, and they have grown even more in the years since. To set up a Shopify store, you have to purchase a service package. These range from basic to complex, depending on what you want from your Shopify store. Then, the company will give you a URL through their website, but you can choose to buy a custom domain name instead. You can choose a theme and layout for your site, or if you have some programming knowledge, you can create your own layout. Their customer support employees are available 24/7 online and over the phone if you have trouble setting up your site or need more information. Once you list your items and set up a payment method, you can begin selling through Shopify. If you want to expand your site beyond the basic package they offer, you can download apps from their store as plug-ins. They have more than 1,100 free and paid apps that help with all aspects of business, such as marketing, shipping, social media, and customer service. All Shopify sites also come with a built-in mobile feature, so customers can easily shop from your store and purchase items on their phones. Some of their plans offer a checkout recovery service, so if customers add items to their cart but don’t check out, you can send them a reminder to purchase the items. Shopify can be significantly more expensive than other platforms like Etsy and WooCommerce. Depending on the package you choose, you may pay anywhere from $14 to $179 a month, plus any transaction fees that your payment method charges. Unlike Etsy, though, Shopify itself doesn’t charge a transaction fee. Setting up a basic site isn’t challenging, especially with the help of their customer support team, but it can take some time if you want to add more customization and plug-ins. If you want to really explore their different themes and apps, you should be prepared to take anywhere from a few hours to a few days experimenting with your site. Sometimes setting up your payment method can take a few days as well. One of Shopify’s major advantages is that users have plenty of freedom to customize their site to fit their needs. They have more than 100 paid and free themes available that are specialized for different types of shops. For example, they have themes that are ideal specifically for jewelry shops, art shops, or clothing shops. Plus, if you have any programming knowledge, you can customize your store even further. You could also hire someone to help you design, develop, and customize your site. Unlike Etsy, Shopify doesn’t have a search feature that allows customers to search for items across all Shopify stores. The business owners are completely responsible for marketing and increasing their store’s visibility, which can be a challenge. Unless you’re selling a very rare or niche item, customers will probably not find your site through a simple Google search. You will have to advertise for your store and use some search engine optimization techniques. Shopify’s website does have some resources to help users with this. 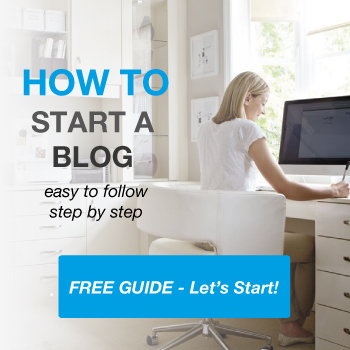 Their blog gives tips on e-commerce, marketing, and search engine optimization. The main benefits to Shopify is its customizability and its ease of use. You don’t need any programming knowledge to set up a site, but you can easily customize it to create exactly the right site for your business. Shopify is best for people who are willing to pay for their site and put time and energy into marketing for their business. If you don’t already have customers, you’ll likely need to spend as much or more time advertising than you do managing your shop. If you do have loyal customers, Shopify is a great platform to create a unique and easy-to-use site for your business. Here is my guide on how to set up a Shopify Store and my in-depth review of Shopify. 3DCart is similar to Shopify, but it has fewer users and focuses more exclusively on smaller and medium-sized business. Like Shopify, you sign up for their site and purchase a package. 3DCart has five different packages that you can choose from based on how many items you plan to list in a month. The most basic plan, which allows you to list up to 25 items, currently costs $8.49 per month. The professional plus plan, which is the most popular plan and allows unlimited items, costs $84.99 per month. The best plan for your business will depend on how many products you sell and how much profit you make every month. After you choose your plan, you can customize your site. 3DCart offers over 100 themes, and if you have some knowledge of HTML or CSS, you can change the template to fit exactly what you want. Then, you can list your products, set up a payment method, and launch your site. Using 3DCart will probably be slightly more expensive than having an Etsy shop, but 3DCart doesn’t charge a listing fee or transaction fee. 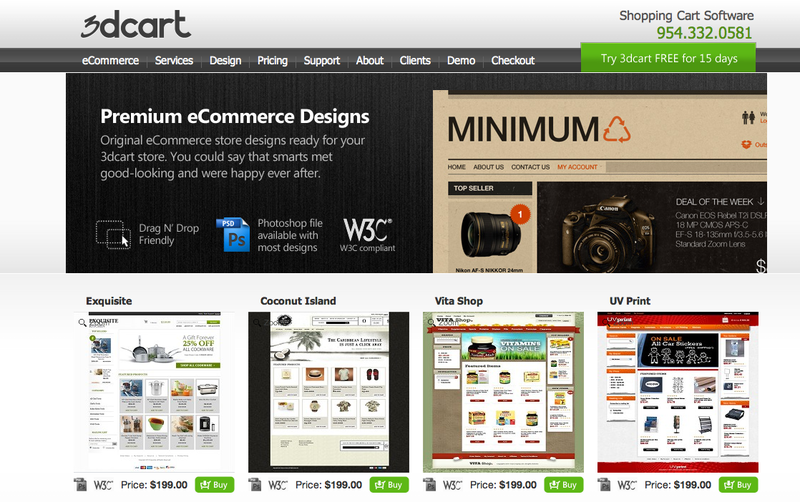 3DCart plans are cheaper than Shopify plans, but they have fewer plug-ins. Also, unlike Shopify, 3DCart doesn’t have an app to manage your business on your phone. Setting up a site with 3DCart is about as easy as using Shopify. If you’re not doing any extra customization, the setup should be very straightforward. Even if you want to alter your chosen template in any way, you only need to change some of the HTML. You don’t need to be an experienced programmer or hire a programmer to change your template to fit your needs. Your site is very customizable, which is helpful for sellers who want to create or maintain their image and brand. 3DCart also has online and over-the-phone customer support to help users set up their sites. Almost all 3DCart users are small and mid-sized businesses. Because of this, 3DCart helps their users with marketing and advertising. On Etsy, most users have to rely on social media advertisement and Etsy’s search feature, which is often difficult because of the competition. 3DCart easily lets you share your website on various social networks, but they also help you create and send out newsletters to your customers, send coupons, and create a blog through your site. Their sites have built-in SEO features to increase online visibility as well. Your business will still be competing with all other businesses selling the same product, but 3DCart helps you with marketing and advertising, so you can spend more time focusing on managing your business and your site. If you’re planning to list many items on your site, 3DCart will probably be more expensive to use than Etsy. However, they do not charge a listing fee or transaction fee. While Shopify works with businesses of all sizes, 3DCart is more well-suited to small businesses. They offer more resources and support for advertising, which is vital for small businesses. 3DCart is ideal for users who want a customizable site but don’t need additional plug-ins or apps and who may not have the time to spend hours on marketing for their business. Here is my in-depth review of 3DCart. Weebly is one of the most popular website building and hosting services. The platform was created in 2006 by a group of college students, and in the years since, they have hosted millions of sites. Many people use Weebly for blogs or for uploading pictures and videos, but it’s also commonly used as an e-commerce platform. Weebly currently offers four plans, with prices ranging from completely free to $25 a month. Their three paid plans come with one free year of a domain name, unlimited pages, and unlimited storage. Their starter plan allows you to list 10 products for sale, their pro plan allows you to list 25, and their business plan allows unlimited products. After purchasing the plan, you can choose from one of the 24 themes they offer and pick a domain name. Weebly uses drag-and-drop design elements, which are very straightforward and easy to use. You choose an element from their menu that you want on your page, like text, an image, or a map, and just drag it onto the page wherever you want to place it. They have an App Center with paid and free add-ons related to marketing, social media, and advertising that you can easily install on your site. You can list products for sale or import them directly from your Etsy shop. Weebly’s plans are cheaper than Shopify’s and 3DCart’s, but they do charge a transaction fee of three percent of the product’s price. If you import items from your Etsy shop to your Weebly page, you will pay the Etsy transaction fees. After taking the transaction fees into consideration, Weebly may have a similar monthly cost to the other platforms. It will depend on the plan you choose, how many items you list, and the cost of the items. The biggest benefit to using Weebly over Etsy or other platforms is its ease of use. The drag-and-drop method of design is very straightforward and user-friendly. Although they don’t have a huge number of themes to choose from, the apps and the drag-and-drop feature give you endless possibilities for customization. You can also easily change your site’s design and layout at any time. Weebly’s website doesn’t have a search feature to let customers search across all their sites. For customers to find your page, you’ll have to share the page through advertisements or hope it comes up in a Google search. The marketing and advertising for your business is left up to you with Weebly, although they do have search engine optimization settings built into their sites. They allow you to insert descriptions and keywords for each page for search engine optimization. Weebly is ideal for users who want a site that is easy to use but still customizable. You don’t need any knowledge of programming, HTML, or CSS to design your site, but you can still create a site that is completely unique to you and your business. It’s great for Etsy users just looking to add a secondary platform for their products, because you can easily import your Etsy listings to your Weebly page. 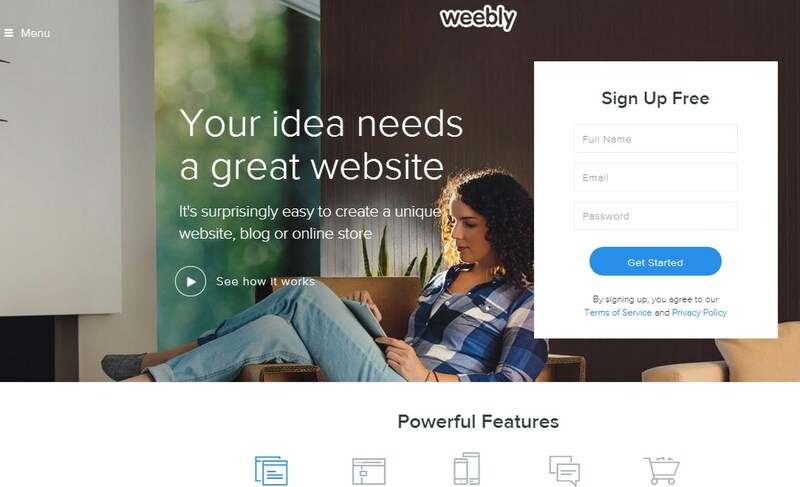 However, users who choose Weebly as a platform must be willing and able to advertise for their business to gain customers. Read my review of Weebly. Tribello is a global creative marketplace for handmade items and collectible goods. Artists, crafters, and sellers of antiques, vintage and supplies can all come together to reach buyers from around the world. The Tribello team promote their sellers via the marketplace’s social media channels and pay-per-click advertising, so your shop could get instant recognition throughout the Tribello network. The best platform for your online business will depend on the size of your business, the current number of loyal customers you have, and the type of products you sell. Etsy can be a great platform because it focuses on handmade crafts and allows customers to search across all their shops, but almost all businesses on Etsy face intense competition and cannot customize their pages to stand out to customers. Although most other platforms are more expensive than Etsy, they allow users much more freedom for customizing their sites and upholding a brand and an image for their business. Using multiple platforms is an excellent way to expand your online business, and many other platforms like WooCommerce, Shopify, 3DCart, and Weebly, offer features that can really benefit your business.